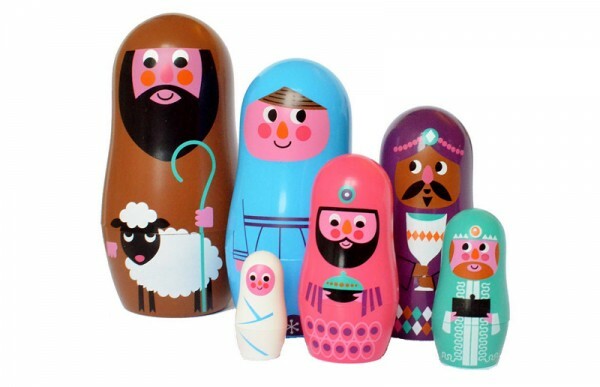 We love a cute set of nesting dolls here at Babyology. But baby nesting dolls? Prepare yourself for a cuteness overload. 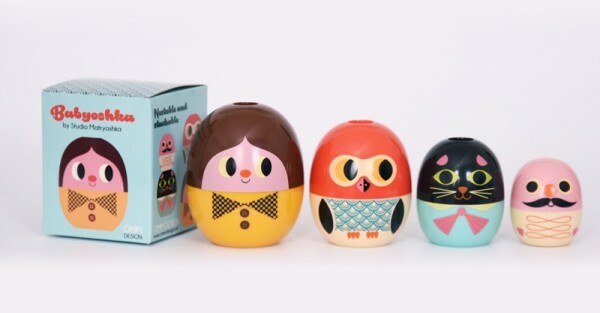 The Babyoshkas join the character filled family of Matryoshka nesting dolls designed by talented Swede Ingela Arrhenius for Omm Design. With the same beautiful clean Scandi look that made their relatives so appealing, these little Babyoshkas make irresistible toys, but also lovely decorations for any room. There are two different Babyoshka sets to choose from: the Person set shown above, with its adorable circus and animal characters or the delectable Lion set (pictured top). They have no small parts so are suitable for tots aged eighteen months and up. Not only are they fun for nesting, they can also be stacked! Each set of Babyoshkas has four dolls, the largest of which is 12cm high and the smallest 7cm. If you think these look gorgeous, be sure to check out the rest of the Matryoshka family. There’s robots, a pink pocket circus and even a Christmas Nativity scene. Made from durable painted BPA free plastic, they won’t swell or warp with time, ensuring the tops and bottoms will always fit well. 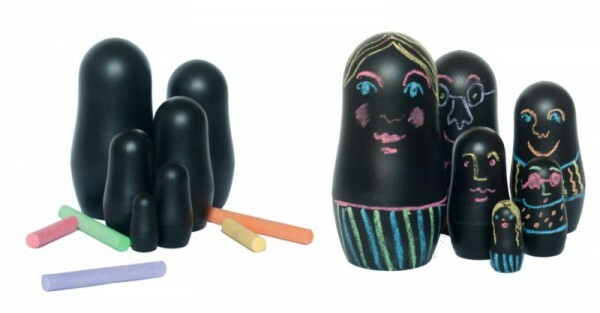 You can even design your own with the brilliant Matroshka chalk set.